Among post-menopausal women, drinking multiple diet drinks daily was associated with an increase in the risk of having a stroke caused by a blocked artery, especially small arteries, according to research published in Stroke, a journal of the American Heart Association. This is one of the first studies to look at the association between drinking artificially sweetened beverages and the risk of specific types of stroke in a large, racially diverse group of post-menopausal women. While this study identifies an association between diet drinks and stroke, it does not prove cause and effect because it was an observational study based on self-reported information about diet drink consumption. 16 percent more likely to die from any cause. African-American women without previous heart disease or diabetes, who were 3.93 times as likely to have a clot-caused stroke. "Many well-meaning people, especially those who are overweight or obese, drink low-calorie sweetened drinks to cut calories in their diet. Our research and other observational studies have shown that artificially sweetened beverages may not be harmless and high consumption is associated with a higher risk of stroke and heart disease," said Yasmin Mossavar-Rahmani, Ph.D., lead author of the study and associate professor of clinical epidemiology and population health at the Albert Einstein College of Medicine in the Bronx, New York. Researchers analyzed data on 81,714 postmenopausal women (age 50-79 years at the start) participating in the Women's Health Initiative study that tracked health outcomes for an average of 11.9 years after they enrolled between 1993 and 1998. At their three-year evaluation, the women reported how often in the previous three months they had consumed diet drinks such as low calorie, artificially sweetened colas, sodas and fruit drinks. The data collected did not include information about the specific artificial sweetener the drinks contained. The results were obtained after adjusting for various stroke risk factors such as age, high blood pressure, and smoking. These results in postmenopausal women may not be generalizable to men or younger women. The study is also limited by having only the women's self-report of diet drink intake. "We don't know specifically what types of artificially sweetened beverages they were consuming, so we don't know which artificial sweeteners may be harmful and which may be harmless," Mossavar-Rahmani said. 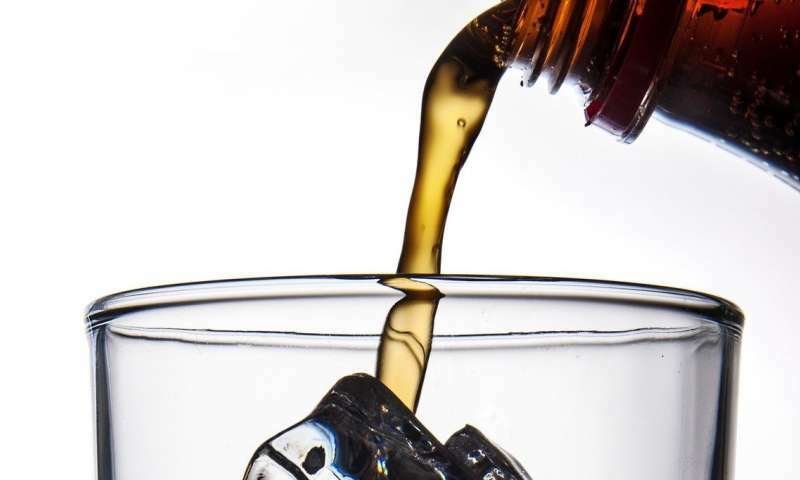 The American Heart Association recently published a science advisory that found there was inadequate scientific research to conclude that low-calorie sweetened beverages do—or do not—alter risk factors for heart disease and stroke in young children, teens or adults. The Association recognizes diet drinks may help replace high calorie, sugary beverages, but recommends water (plain, carbonated and unsweetened flavored) as the best choice for a no calorie drink. "Unfortunately, current research simply does not provide enough evidence to distinguish between the effects of different low-calorie sweeteners on heart and brain health. This study adds to the evidence that limiting use of diet beverages is the most prudent thing to do for your health," said Rachel K. Johnson, Ph.D., R.D., professor of nutrition emeritus, University of Vermont and the chair of the writing group for the American Heart Association's science advisory, Low-Calorie Sweetened Beverages and Cardiometabolic Health. "The American Heart Association suggests water as the best choice for a no-calorie beverage. However, for some adults, diet drinks with low calorie sweeteners may be helpful as they transition to adopting water as their primary drink. Since long-term clinical trial data are not available on the effects of low-calorie sweetened drinks and cardiovascular health, given their lack of nutritional value, it may be prudent to limit their prolonged use" said Johnson. The fact is, low- and no-calorie sweeteners have been deemed safe by regulatory bodies around the world, and there is a substantial body of research that shows these sweeteners are a useful tool for helping people reduce sugar consumption. We support the WHO's call for people to reduce sugar in their diets and we are doing our part by creating innovative beverages with less sugar or zero sugar, clear calorie labeling, responsible marketing practices and smaller package sizes.